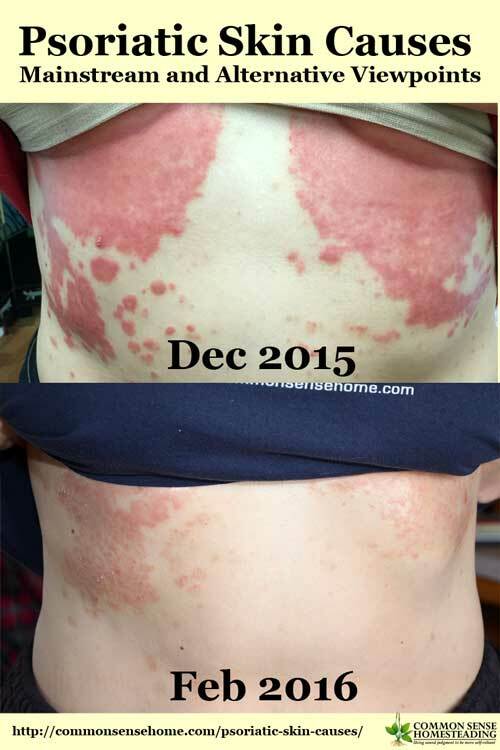 Those who've been following along know a little about my personal experience with psoriatic skin from the article “Psoriasis – The Year My Face Exploded“. When I went for my annual checkup last September, the doctor also noted that down the road my skin psoriasis could lead to psoriatic arthritis (where the psoriasis attacks your joints) – not a path I want to take. It really struck me as strange, how matter of fact she was about something that was really screwing up my life and could possibly get even worse, but I guess one develops a level of personal detachment over time. Given than it was my health on the line, I have a more urgent and vested interest. One of the first things I tried to figure out was possible psoriasis causes, since I figured if I can eliminate the cause, eventually my skin should clear, right? My skin would crack, bleed and ooze – just the slightest bump to an affected elbow would send pain shooting up my arm. I couldn't sleep at night because shifting in bed would break open the skin on my torso and start it bleeding again. Psoriasis can be a major life disrupter, and mine was small potatoes compared to some psoriasis photos I've seen on the internet. Psoriasis tends to run in families, but it may be skip generations; a grandfather and his grandson may be affected, but the child's mother never develops the disease. Although psoriasis may be stressful and embarrassing, most outbreaks are relatively harmless. With appropriate treatment, symptoms generally subside within a few months. That sounds nice and simple, but again, from what I've seen and what readers have shared, many of those with moderate to severe psoriasis suffer for years, even after trying various forms of treatment. I did have frequent strep throat infections as a teenager (with accompanying antibiotics). A number of sources have linked strep throat to psoriasis. I certainly have had plenty of stress in my life, including my mom's death, wrapping up our homeschooling years, and simply trying to find enough hours in the day to get everything done. I don't take any prescription meds except thyroid medication, and rarely use OTC medications. I'm not familiar with any family members who had psoriasis, although several family members have dealt with moderate to severe acne, and my mom developed a weird skin condition the last decade of her life. The inside of the elbows is a need to draw people or situations near to you, or to cling on. The outside of the elbow represents pushing people away. She also notes that psoriasis on the front of the body relates to anxiety about what's ahead – which I have an abundance of at the current time. I've also been anxious about my boys leaving (unnecessarily so, as they are in no rush to move out, but that's a more complicated factor linked to my past that I'll discuss later in the series). I've also been a rather private person most of my life, so I think that at times I struggle with the push to share more online. In the rest of the series, I'll be working through the different psoriasis treatments that I've tried to address each of the causes that are likely to be an issue for me, as well as other possible options. Over these past months I've an assortment of topical creams, herbs, diet changes and alternative therapies with varying degrees of success. I'm not giving up until I get this problem fixed. For those dealing with psoriasis or other chronic health conditions – do any of these triggers sound familiar? I'd be grateful if you'd be willing to share your experience so that we can all learn together. 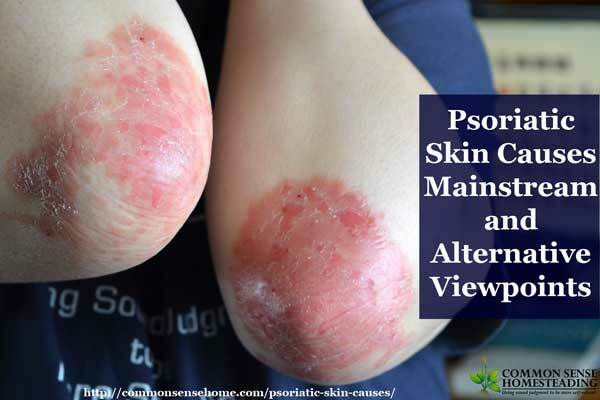 Moringa Olifeira has helped many cases of psoriasis. Have you tried this? No, I haven’t tried moringa yet. Thank you again for sharing this. My husband and I are following along and are looking forward to hearing more about what has helped you. What a transformation for you! So happy for you! More work to be done, but I do feel so much better than I did several months ago. I am so proud of you for pursuing alternative solutions as well. I know first hand the disappointment of the mainstream edict of “here take this”. Autoimmune issues are so serious,but the side effects of some of the popular drugs are so much worse than the problem you are experiencing. Too many times folks choose not to read the “this may cause…” flyer included with the drugs. Your research is impeccable and includes some of the most contemporary alternative, successful options. Gluten, processed foods, sugar are all culprits in most diseases. You will win. Be strong in your pursuit of regaining your health. You have much support and love with you. Thank you, Kathy. I’ve seen too many failures of the standard medical system with loved ones. There just has to be another path – even if I have to make it mostly on my own. And you are absolutely right about those triggers playing a part in many illnesses. oh I feel for you…. try a food diary. I was in your position when I was in my 30’s leaving for a company trip to the Caribbean. between nerve and trying to loose weight I found that too many changes I couldn’t even wear underclothes…..
ten years later, I blew up like a balloon. basically I had to write down ever item that when in my mouth, any thing in my system turned up 2day afterward. I did three detox cleanse for a month each and went totally organic with out any Bread at all. all the time keeping my diary, after a year I found food sensitiveness were setting off my problems. I found out I was allergic to my clothing detergent and which food I can never eat. Laurie I really enjoy your articles please keep on! I did get allergy testing done, and really narrowed down my diet for quite a while. Testing results weren’t all that helpful, and I don’t seem to have a specific food trigger or triggers, but I think I did finally figure out at least part of the problem, which I’ll be covering in upcoming posts. Thanks for the words of encouragement. Well, going down the line, I seem to hit a home run in multiple categories. Because I have had asthma all my life, and this has led to constant bouts of bronchial infections, antibiotics and prednisone have been a major part of my life for the past 20 years. I’ve also had heart surgery 23 years ago and several stents added since then. With both heart and lung problems, my stamina is low and this means I struggle to live the outdoor homesteading life I so desire. Mainly though, all of this is just to say, there seems a number of things I could work at changing or moderating so as to possibly decrease the constant skin itching I have had for the past 20 years or so. I’ve always been somewhat convinced that a lot of my problems started after the heart surgery (being on the heart/lung machine and receiving 3 pints of someone else’s blood. But maybe some modifications in my diet and getting my doctor to look for some less toxic meds could help. Thanks again for continuing this dialog. I know I’ve made some big changes in my life since last year, and I’m hoping that as I work through them that you and others will also be helped. I once suffered fir a whole summer with a weeping rash that covered me from the soles of my feet to my entire scalp. None if my doctors could figure out what to do. It came in the spring and mysteriously disappeared in the fall. A new doctor saw me the next spring when it started again and diagnosed mine as my body’s response to hayfever. Thankfully it has been responsive to otc allergy meds with occasional flares. God bless you as you work through this and as you share with us. Glad you were able to find a solution that works for you. I feel like it will take some time, but I think I have a path to healing now. Yep, it’s a problem for many people, as is dairy. Glad you found an option that works for you. Hi Joan. Thanks for sharing your story. You’re looking like a new woman. I’m a fan of coconut oil, too, and also share it with our cats. I’ve come to many of the same conclusions that you did, and have made some of the same changes in my diet, which I’ll get to in upcoming posts. (I’m down around 30 pounds, too.) I figure it’s helpful for others to go through the steps with me to see the different things I’ve tried on the path to figuring out a long term solution. I really enjoy reading you stuff. When I was sick, I promised my maker that if I found a way to get well I would tell others. I’m glad your are doing that also. I’m putting together a piece on the steps I took for all of it was hunt and peck. I up to about 10 steps. All I can say is stay off low-fat, high carb diets they kill you. Stay off modern medicines antibiotics and when you can most of their medicine only when you feel safe. Stay off Statin drugs. Also an absolute must are minerals especially magnesium and iodine. Himalayan sea salt is a great start. I don’t recommend products but am using Carolyn Dean’s Magnesium. Dr. Mercola just introduced a magnesium. Magnesium is very very important. Good Luck and I’m interested to get the rest of the story and what you find out. It has taken four years and I’m still fighting Candida Yeast. My recent plan of attack is baths with himalayan sea salt and tree oil and it seems to be working. I read Carolyn Dean’s book a while back and it was very interesting. I don’t tolerate essential oils very well (I have tried them for the psoriasis/candida), so I’m not using them as part of my strategy now. I find I do better with whole herbs. I agree on the low fat diet and statins – both very bad. We use kelp, nori and dulse for iodine. Have you done the Candida spit test? The problem with all illness is the gut you have to heal your gut and once you rebuild your immune system the rest of the inflammation will go away. I did it using a plant based diet raw or slightly cooked vegetables I then went to a diet of bitters Kale was my best friend. I had to slowly work up to eating fermented or pickled foods. I used the lemon, Aloe Vera and silver to rebuild my gut. I am now eating grass fed meat and am allowing a view carbs like a white potatoes still no bread whole or white nor do I eat rice. I grow the Aloe and use the real thing. Aloe is good because it skips the stomach and goes directly to the intestine which is where the inflammation is. I had blood work done for candida, and do Epsom salt soaks at least once a week. I had a flare up for the first time in my life at mid 40s. I believe a stressful event brought it on – had severe joint pain on and off with it so I don’t know if it was related or not. I have Hashimotos too. Battled it for a year and the dermatologist said they were perplexed as to why it wouldn’t subside with stronger and stronger meds and it kept spreading. Finally they said to take Claritin twice a day – to double up on it and that was the only thing that actually helped and made a huge improvement. It finally went into remission and I hope it never comes back. It was not as severe as what you had. Started on my neck in my hair down my chest and bottom. Absolutely miserable!! My PA came on so suddenly, it was like someone flipped a switch. One day I’m doing 400 wedding invitations in calligraphy, the next I couldn’t even hold the pen! The insurance company finally approved Humira and it was a miracle for the first few months but now even that isn’t working well. I can still do calligraphy, but walking and standing for long periods absolutely exhaust me. I’ve had stuffy nose symptoms my whole life. How did you approach your doctor with that as a possible cause? I don’t suffer from psoriasis much (just one spot behind my ear – and I used to get strep 3-4 times a year for about 10 years), but my 16 year old suffers greatly. We believed it was typical dandruff and tried every dandruff shampoo on the market without success. Then I tried a psoriasis shampoo without success. Eventually the dandruff was so bad that I began treating with coconut oil and basically scraping it off, which as you know only makes it worse. I ended up bringing him to a dermatologist where she diagnosed him with psoriasis and gave him like 4 different topical medications to clear it up. While they have helped (both physically and emotionally), I’m still not thrilled with a teenager being on multiple toxic medications. I’m looking forward to reading your blog posts on the topic. Hopefully I can find something to help him. My eldest dealt with something similar when the boys were in swimming lessons. It looked like a nasty case of cradle cap – except he was no baby. I treated it with a kombucha scoby, and that took care of the worse of it. He still has a mildly flaky scalp, but nothing like it was. I think diet changes will help more, but it’s tough to convince a teenage boy to give up some of this favorite foods. I’m working on him. I’m going to start working on the post about how I changed my diet right now, and I’ll work on other treatments I’ve used in the coming weeks. Have you by any chance run across someone that knows how to heal the brain after a massive stroke ??? I need help regaining my vision. Eyes are excellent but not talking to my brain. I know keto diets have been used for treating other brain injuries, such as seizures, so that may be something to research as well.